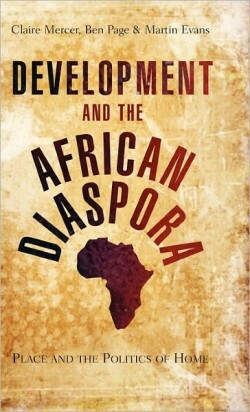 Ian joined the Department as Professor of Human Geography in September 2000. 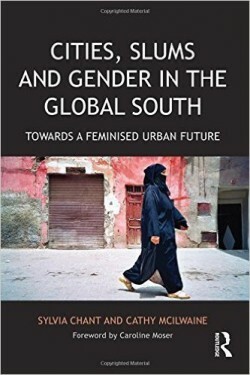 Prior to this he spent eleven years as Professor of Geography at Reading University, before which he taught in Interdisciplinary Studies at the University of Kent, where he directed the Urban and Regional Studies Unit. 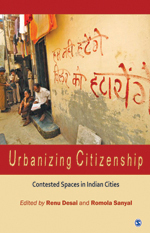 His main research interests have been in urban development, spatial labour markets, migration and spatial interaction, and urban policy/governance, particularly in the context of major metropolitan regions. He led the team carrying out the London ‘integrative city study’ for ESRC’s Cities, Competitiveness and Cohesion programme in 1998-2002. 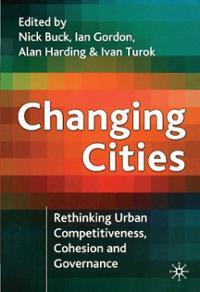 In April 2004 he was the academic convenor for the Leverhulme International Symposium at the LSE on The Resurgent City. He has been a member of the Mayor’s Outer London Commission since 2008. 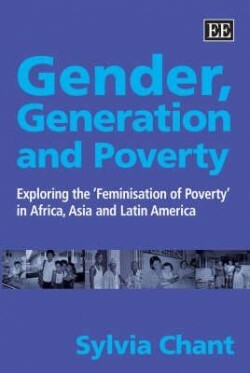 His publications include The London Employment Problem (with Buck and Young, Oxford U.P., 1986), Unemployment, Regions and Labour Markets (edited, Pion, 1987), European Factor Mobility (jointly edited, Macmillan, 1989) Divided Cities: New York and London in the contemporary world (edited with Fainstein and Harloe, Blackwell, 1992) Territorial Competition in an Integrated Europe (edited with Cheshire, Avebury, 1995), Working Capital: life and labour in contemporary London (with Buck, Hall, Harloe and Kleinman, Routledge, 2002), and Changing Cities: Rethinking urban competitiveness, cohesion and governance (edited with Buck, Harding and Turok, December 2004). Quantitative Easing of an International Financial Centre: how central London came so well out of the post-2007 crisis, Cambridge Journal of Regions, Economy and Society, 9 (2). pp. 335-353. Ambition, human capital acquisition and the metropolitan escalator. Regional Studies, 49 (6). pp. 1042-1055. Urban escalators and interregional elevators: the difference that location, mobility, and sectoral specialisation make to occupational progression. 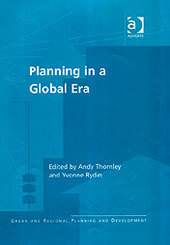 Environment and Planning A, (with Champion, A. and Coombes, M.). 47 (3), pp. 588-606. How far do England’s second-order cities emulate London as human-capital ‘escalators’? 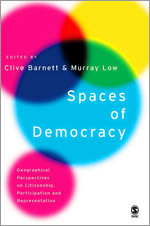 Population, Space and Place, (with Champion, A. and Coombes, M.). 20 (5). pp. 421-433. Accounting for big-city growth in low-paid occupations: immigration and/or service-class consumption. Economic Geography, (with Kaplanis, I) 90 (1). pp. 67-90. Fitting a quart in a pint pot? 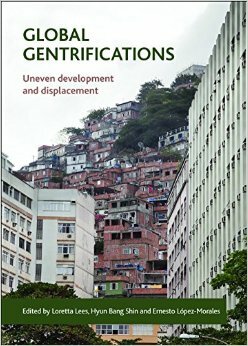 : Development, displacement and/or densification in the London region. In: Kochan, Ben, (ed.) Migration and London’s Growth. LSE London, London, pp. 41-55. Theories of migration: a review – commentary to accompany republished version in Scottish journal of political economy jubilee issue. Scottish Journal of Political Economy, 60 (5). pp. 557-559. A tale of two cities. 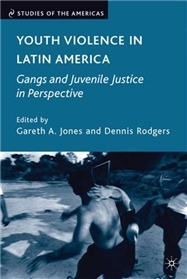 RSA Journal, (with Overman, H), 2012, 26-29. London capital of boom and bust? Observatoire de la société britannique: la revue (11). pp. 69-88. Ups and downs in the global city: London and New York In the 21st century. 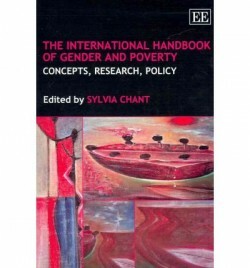 (with Fainstein, S & Harloe, M), In: Bridge, Gary and Watson, Sophie, (eds.) New Blackwell companion to the city. Wiley-Blackwell, Chichester, pp. 38-47. Whitehead, Christine M E, Edge, Anne, Gordon, Ian, Scanlon, Kathleen and Travers, Tony. The impact of migration on access to housing and the housing market: a project for the Migration Advisory Committee. Migration Advisory Committee reports – analysis of the impacts of migration , UK Border Agency, London, UK. 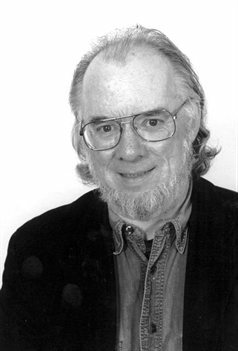 Entropy, variety, economics, and spatial interaction. Geographical analysis, 42 (4). pp. 446-471. London: planning the ungovernable city. City, culture and society, (with Travers, T) 1 (2). pp. 49-55. Economic Impact on the London and UK Economy of an Earned Regularisation Of Irregular Migrants to the UK, London: GLA Economics, (with Kath Scanlon, Tony travers and Christine Whitehead), 2009. 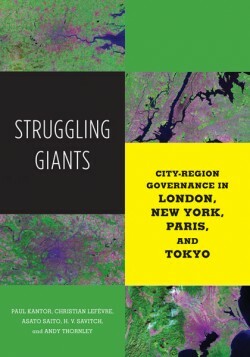 London’s Place in the UK Economy 2008/9 , 118pp., London: City of London Corporation, (with Tony Travers and Christine Whitehead), 2009. 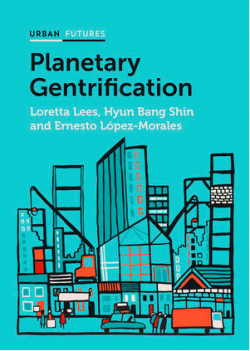 ‘Off-Shoring of Work and London’s Sustainability as an International Financial Centre’, pp. 373-384 in Karlsson, C. et al (eds.) New Directions in Regional Economic Development, Berlin:Springer, (with Colin Haslam, Phil McCann, and Brian Scott-Quinn), 2009. ‘Local Authorities and the Downturn: A review of issues, experience and options’, SERC Policy Paper 3, Spatial Economics Research Centre, (with Tony Travers and Christine Whitehead); also published by DCLG REDA Panel, 2008. ‘Policy for Mixed Communities’, SERC Policy Paper 2, Spatial Economics Research Centre, (with Paul Cheshire, and Steve Gibbons), 2008. ‘Density and the Built Environment’, Energy Policy, 36, 4652-6, 2008. ‘Territorial Competition in China and the West’, Regional Studies, 42. pp. 1-18, (with Crison Chien), 2007. ‘Education, Location, Education: A spatial analysis of English secondary school exam results’ , Urban Studies, 44, 1203-1228, (with Vassilis Monastiriotis), extended draft available as LSE Research Paper in Spatial and Environmental Analysis, 87, 2007. ‘Finding Institutional Leadership for Regional Networks: The case of London and the Greater South East’, in W. Salet (ed.) 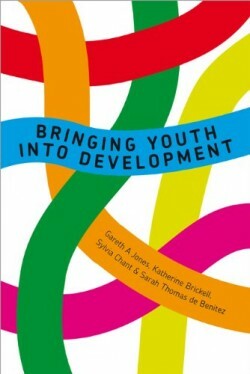 Synergy in Urban Networks, Hague: Sdu Uitgevers, 2007. ‘Labour Market Integration Policies to Enhance Social Cohesion, in Competitive Cities in the Global Economy, Paris: OECD; draft available as LSE Research Paper in Spatial and Environmental Analysis, 109, 2006. ‘”London Economy and Employment”, and “Conclusion”: Does bigger mean better?’ B. Kochan (ed.) London: Bigger and Better?, London: LSE London, 2006 (with Tony Travers and Christine Whitehead), 2006. 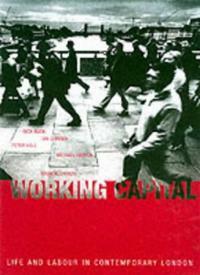 ‘How Should We Write about London; the Working Capital view’, City, 10, 185-196, 2006. 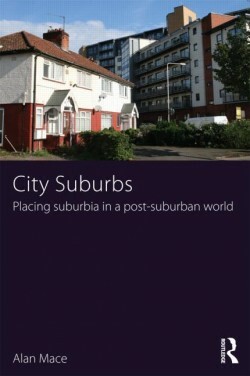 Reflections on Urban Research Programmes in the UK, LSE Research Paper in Spatial and Environmental Analysis, 110, 2006. ‘Urban size, spatial segregation and educational outcomes’, Urban Studies, 43, 213-236, (with Vassilis Monastiriotis), 2006. ‘Innovation, Agglomeration and Regional Development’, Journal of Economic Geography, 5, 523-543, (with Phil McCann), 2005. ‘London: Competitiveness, cohesion and the policy environment’ (with Buck, Hall, Harloe et al) and ‘Does Spatial Concentration of Disadvantage Contribute to Social Exclusion?’, in M. Boddy and M. Parkinson (eds.) City Matters Policy Press, 2004. 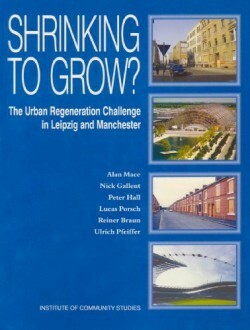 ‘The Resurgent City: What, where, how and for whom?’, Planning Theory and Practice, 5:3, September 2004. ‘Capital needs, capital demands and global city rhetoric in Mayor Livingstone’s London Plan ‘, GaWC Research Bulletin 145, University of Loughborough, 2004. ‘A disjointed dynamo: the South East and inter-regional relationships‘, New Economy, 11:3, 40-44, 2004. 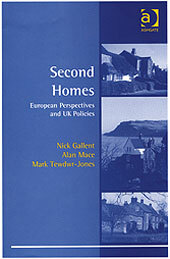 ‘Three into One: Joining up the Greater South East’, Town and Country Planning, 72:11, 342-343, 2003. 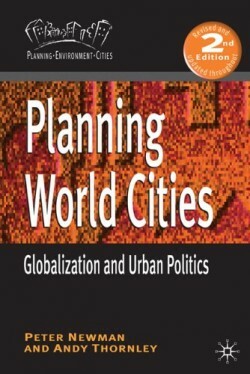 ‘Global Cities, Internationalisation and Urban Systems’, in P. McCann (ed.) Industrial Location Economics, Elgar, 2002. ‘Unemployment and Spatial Labour Markets: Strong adjustment and persistent concentration’, in R. Martin and P. Morrison (eds.) Geographies of Labour Market Inequality , Routledge, 2002.